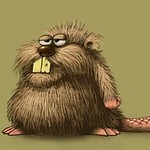 Bugger, that's a shame Beaver, especially considering all the work you have put into it. Maybe give it a crack around summer time when the seasons starting to get going? Disappointed for those missing out but understandable if the numbers can't be had. No honestly, sorry it couldn't eventuate... I'm sure with more time, planning, media etc your next attempt will succeed! I was down in Melbourne on the weekend with a couple of mates for a boys weekend. The excuse for the trip was the BeerBQ event in Flemington on Sunday. Four courses of American BBQ prepared by Paul Rietmier of Silver Creek along with Chris Badenoch from Josie Bones, the ProQ smokers distributor and a rep from Cape Grimm beef. Four courses of BBQ with four matching beers from Sierra Nevada. They're planning on running a series of these events including up in Sydney. They also did some Q&A and demo of starting up the ProQ and went over dealing with brisket. Perhaps it might be doable to do a combined event where they do their stuff and the competitors cook off? Even if not it should help spread the word some on BBQ to the public. i suppose with this attempt we either overestimated those whom were going to the sydney bbq festival or those whom were going got cold feet. its all good, ive had a chat to those whom signed up and everyone is on board for next attempt. Its a shame, thanks for trying and I appreciated you getting in touch to explain what happened. Count me in for your next attempt.